Can Massage Help Improve My Running? With the delightfully warm weather outside, do you find yourself itching to tie up your running shoes and hit the trail? If so, you’re not alone. In fact, in the US alone one in every ten adults runs for exercise. And it’s for good reason; running is a relatively inexpensive mode of exercise, it burns a high number of calories, and it is terrific cardio exercise. 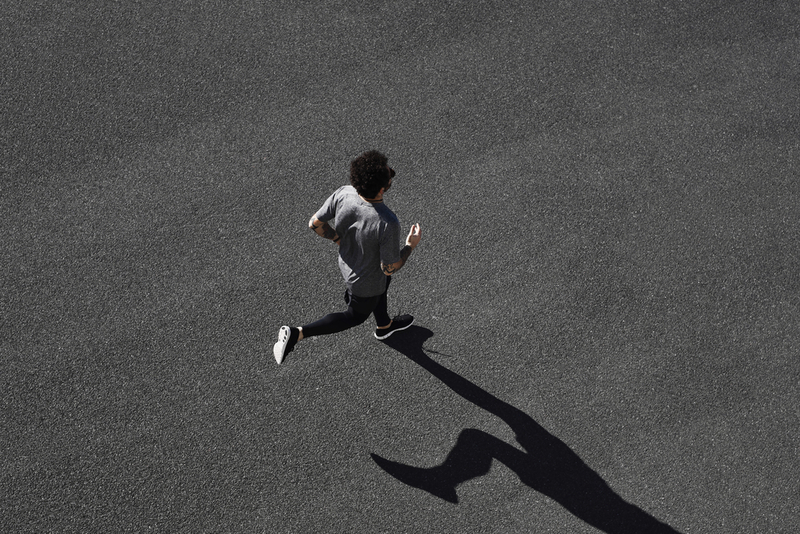 If you’ve never tried to run for exercise, OR if you’ve dabbled in jogging before and have since sworn it off, we encourage you to give it a shot. Not only do our tastes and preferences tend to change over time, but our bodies can change too, and perhaps your body and mind might now be more receptive to running. Given that June 7th is National Running Day, we thought we’d explore how running impacts the body, and how massage can be a runner’s best friend. If you’ve never considered massage as a running necessity, consider that out of all those millions of runners in our country, 40-80% sustain an injury at least once per year. The most-common injuries? Achilles tendonitis (when the tendon at the back of your heel tightens and becomes irritated), hamstring strain, iliotibial band syndrome (the tightening of that fussy IT band that runs from your hip to your knee on the outside of your thigh), and knee issues top the list. If not properly cared for, these injuries can put a wannabe runner out of commission for weeks, or even months. When you pull, tear, or otherwise strain muscles, as is common in running, you can develop scar tissue. When a muscle undergoes stress it can develop tears. The surrounding muscles band together to protect that area, leading to painful knots and muscle scar tissue. Massage can reduce scar tissue and heal muscle adhesions, leading to less soreness and greater muscle movement. Even if you don’t get an actual injury, the very act of running – repetitive and sustained muscle work – makes you a candidate for tight muscles and poor circulation. Massage can effectively improve and increase the quality and level of circulation, and can soothe and loosen muscles, decreasing your chance of strains and injuries. Have a race coming up? Whether it’s a neighborhood Fun Run, a 5k, or a full marathon, be sure to add a massage appointment into your training schedule. Getting a massage from Elements Massage before a race can reduce muscle tension, give your serotonin and endorphins a boost to increase your confidence, and improve your immune system to help prevent a pre-race illness. The fact that massage can reduce inflammation makes a post-run massage a great tool for making sure your muscles heal quickly and properly. And, the better you feel after your run, the sooner you’ll be ready to hit the pavement again and again. Be sure to discuss your running routine with your massage therapist so he or she can concentrate on your most-worked or most-vulnerable areas. Taking proper prevention and care can help to ensure a long and healthy season of running and exercising, for many National Running Days to come.